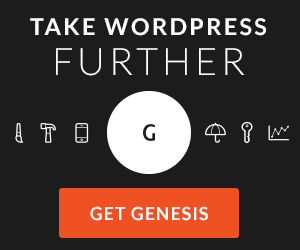 What if you need to move your podcast RSS feed? I tell you how I accomplished this with one of the feeds we have at my work via a special RSS tag (see the links section below for the code). Also discussed is the number of episodes you’ll see listed on your iTunes page. The answer is up to 300. If you have more than 300 episodes, congrats and don’t fret, all your episodes will be available to everyone once they subscribe. Have you run into the 512kb limit imposed on your feed via FeedBurner? This episode will give you some solutions about how to fix it or what to be on the lookout for so your feed doesn’t go down. If you’re just weary of the FeedBurner’s future and want to move your feed away, Rob Walch from Libsyn and I will be discussing how you can do that as long as you have control over your RSS feed. If you’re using FeedBurner to serve your RSS feed to iTunes or any other podcasting app, you might run into a problem where your feed no longer updates. This happens because your feed gets too big. Your feed can exceed the 512kb FeedBurner limit several different ways. You’re including your blog posts in your feed. You’ve produced hundreds or thousands of episodes. Your shownotes are really long for each episode and you have hundreds of episodes which equals lots of text. Do you have a microphone, mixer or recorder that requires you to turn up the gain settings really loud in order to get a good signal? The FetHead might just be your answer to bringing those gain levels back down and reducing the hiss and noise you’re getting in your podcast’s audio. To be clear, the FetHead is not a device you need. If you’re looking at getting an in-line preamp it’s likely that you take your podcast production pretty serious and you are now fine tuning your production gear in order to get the absolute best quality possible. 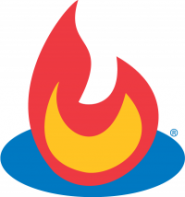 Have you heard that Google might be shutting down Feedburner? Lots of people have but is it true? I have some of my own ideas and great resources for getting a much better picture of what is really going on. You’ll also hear about some resources for moving your feed away from Feedburner if you decide you want to migrate your podcast feed(s) away from the service. The good news is, as it stands, everything is OK. Don’t make a snap decision and worry that you have to move your feed any time soon. Want a new way to make money from your podcast? How about the ability to sell your digital content as easily as you can share it (i.e. Twitter, Facebook, G+, etc.). Gumroad is a new service that allows you to upload your digital files, host them at their site for free and link to it via a short URL created by the service. Then you put that link out into your social world. Purchasing your content is as simple as clicking on the link and entering your payment info. Gumroad handles the entire process and their commision is only 5% + .25 for each transaction. You could sell your back catalog, bonus content or even a photoshop file. Whatever you can create on your computer, you can sell…easily. Let your imagination go wild and make some money from your podcast. Want an easy way to get into video podcasting? Have you heard of Google Plus Hangouts On-Air? This is a very easy way to create video via Google and YouTube. Simply join your friends, co-hosts, interviewees, etc. on a live Hangout and it will be recorded and uploaded to your connected YouTube account automatically. After that, if you want to turn it into a video podcast, you’ll get access to the .mp4 video file. Download the file and upload it to the host of your choice. 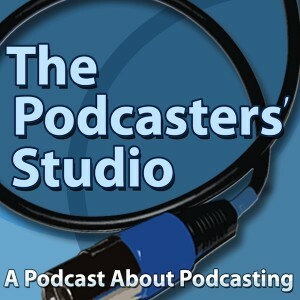 Put that link in your RSS feed and you have a video podcast. All you need is a webcam, a microphone and Google Plus account. Beyond getting you into video podcasting, this also gets you into live-streaming since you can invite infinite numbers of people to watch the live recording. You could rip the audio from the video and turn that into an audio only podcast as well. There are lots of options. Play around with a Hangout On-Air today and you’ll be ready to go if you decide you’d like to dip your toe into the video podcasting waters. Perhaps that most exciting piece of gear to come to podcasting since it’s inception (is that a bold statement? ), the Audio Technica ATR2100 is a dynamic, dual USB/XLR connected microphone. This could be the only mic you ever need to buy. 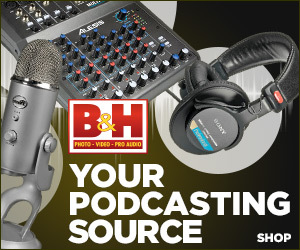 Perfect for the brand new podcaster or someone who has been recording since 2004. The ATR2100 sounds about as good as my Heil PR40 (you’ll hear this in this episode), a three hundred dollar mic. For only fifty dollars you get the benefits of a condensor mic (nice low end sound, bass) with the advantages of a dynamic (superior rejection of unwanted noise). The mic allows you to plug directly into your computer via USB and start recording. The mic also grows with your studio and podcast. When you decide to upgrade to a mixer, you can plug this mic in via XLR and continue to use this mic in your podcast productions. Check out the gear page located on this site and linked below for the ATR2100 as well as a complete list and guide of my personal podcasting gear. 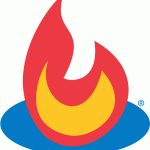 Podcasters Roundtable 004 – What’s Going on with FeedBurner? 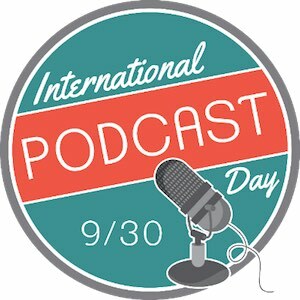 Ray’s Google Plus page – Circle me to join in on my new podcast about podcasting, Podcasters’ Roundtable. The Audacity to Podcast episode 97 – How to Leave FeedBurner. GumRoad.com – Sell your digital content as easily as you share it (make money from your podcast). ThePodcastersStudio.com/gear – hear the raw sound from the ATR2100 and get links to the mic. Need helping starting your first podcast or improving the one you already have? Contact me to work one-on-one setting up or upgrading your show. UPDATE: I no longer recommend the use of FeedBurner. It’s old tech that easily breaks and is no longer necessary IMO. To create a valid, podcast ready RSS feed, my recommendation is to use Libsyn.com or host with blurry.com and use the PowerPress plugin with WordPress. If for some reason you find yourself having to use FeedBurner, maybe you are using WordPress.com for your website, then this tutorial will help with that. Best viewed in full screen mode. Press play then select 720p HD version in the bottom right of the video player and then view full screen. In this tutorial I show you how to create a podcast ready RSS feed using either wordpress.com or your own installation of wordpress. I combine the power of wordpress and its ability to create as many feeds as you want, along with Feedburner to make a valid RSS feed for your podcast. Using WordPress and Feedburner to feed your podcast allows you a lot of control over what is in your feed and how your feed will appear on podcast directories such as itunes, Zune, Miro and anywhere else you submit your podcast. On this episode I give you a Feedburner refresher course. What it’s used for, what it does, and why you might want to use it to add some spice and flexibility to your podcast RSS feed. I also take a few minutes to discuss some of the issues that can arise when choosing a video embed player for your video podcast website. Do you want to use YouTube because of its great 720p HD player? Well if your video is more than ten minutes long, you may be forced to reconsider. I cover more topics such as this with regards to other video hosting sites such as vimeo and Blip.tv. Also I share a web tool I’ve been using for quite awhile now but was recently reminded of the very reason I’m using it, Gravatar.